Taking Care of You & Your Family by taking care of your car! When you’re feeling under the weather, you go to the doctor. But what do you do when your car needs care and attention? Head on over to Doc's Auto Clinic, of course! 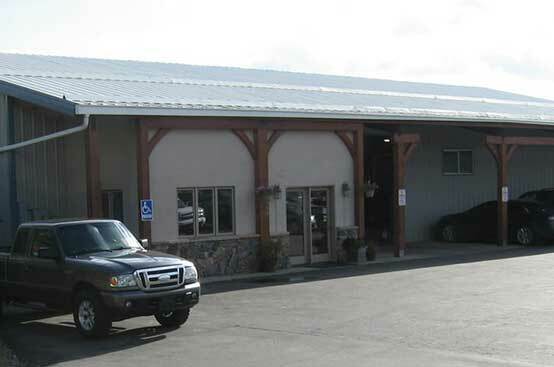 We’re a family-owned and operated auto repair shop serving Steamboat Springs since 1997, and we offer above-and-beyond customer service—holding our customers dear on a personal level. Your car may be our patient, but you and your family are our primary concern. As we like to say, we take care of you and your family by taking care of your car. Owner Brian Small and all our technicians at Doc's Auto Clinic are ASE-certified, and ready to diagnose and repair whatever ails your vehicle. We’re also here to provide the preventive maintenance services that keep your vehicle healthy—your car’s “wellness visits,” if you will. Our facility is large and clean with up-to-date equipment (we do have to live up to calling ourselves a “clinic,” after all), and we work on both foreign and domestic vehicles. In addition to having the best mechanics work on your car, we carry the best automotive parts. As a NAPA AutoCare Center, we’re required to maintain high standards for both parts and labor, as our work is backed by NAPA’s two-year, 24,000-mile nationwide warranty. With Doc's Auto Clinic, you can have peace of mind knowing the replacement parts we use to repair your vehicle won’t fail on you after you drive off our lot. Doc's Auto Clinic and its employees are committed to serving you, our customer, with professional automotive service and maintenance at a reasonable cost with qualified technicians. We are also committed to making quality repairs to our customer's vehicles to ensure the safety, dependability, and value of your vehicle to you and your family. Through adhering to our mission, Doc's Auto Clinic has won a Best of the Boat award for at least five years in a row. Thanks to everyone who has supported our shop and helped us achieve this recognition. We Invest (Time & Money) in Being the Best Auto Repair Shop Around! To be the best auto repair shop in Steamboat Springs, we know we must invest time and money in our customers and our facility. Our facility is equipped with the latest state-of-the-computer diagnostic equipment and tools, including a heavy-duty alignment rack. When we need to upgrade, we do, so you never need to worry your missing something by bringing your car to a local auto repair shop instead of a dealership. Rather, you’re gaining awesome customer service! Doc's Auto Clinic is a proud, active member of the Steamboat Springs community. We participate in the city’s annual Girls on the Run 5K, Partners Mentoring Youth in Routt County, and the Lorna Farrow Memorial Fun Shoot, among other events and organizations. We’re happy and lucky to live in a community that seeks to preserve its heritage, and where people value and bolster family-owned businesses like ours. If you’re looking for us, our facility is located at 2565 Copper Ridge Drive in Steamboat Springs. We also serve the communities of Hayden, Craig, Oak Creek, and Walden. Bring your vehicle to Doc's Auto Clinic, and feel better about auto repair and maintenance. When you need us, we’ll be here! Serving Steamboat Springs, CO and surrounding areas, including Craig, Hayden, Oak Creek, and Walden.